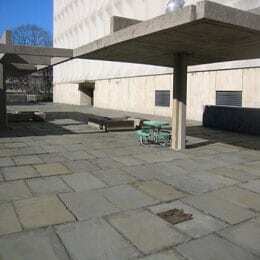 Meister Hall (1964) is an educational facility designed by Marcel Breuer located on the campus of Bronx Community College. 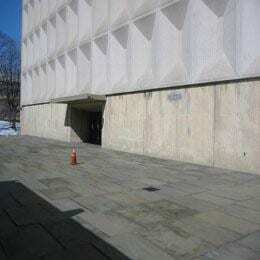 This cast-concrete building is fronted by a 22,000 sq. ft. bluestone plaza. The restoration program encompassed the replacement of the existing water-proof membrane and flashings, replacement of drains, paving stone reinstallation, and the reconstruction of concrete containment walls. SUPERSTRUCTURES provided investigation, design and construction administration services. Owner: Dormitory Authority of New York.